We created iPhone and Android apps for Kevin Green, star of Channel 4’s hit TV show “Secret Millionaire”. 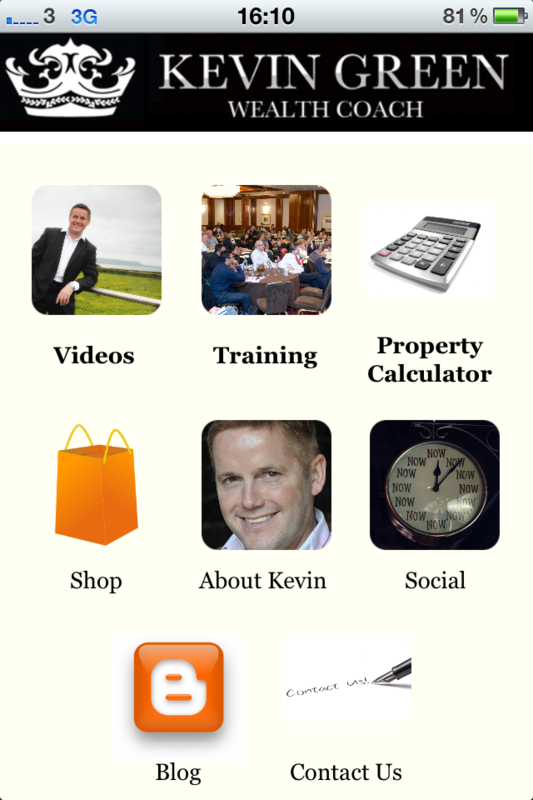 Kevin runs a wealth training business and was keen to develop an app for his business. 1. 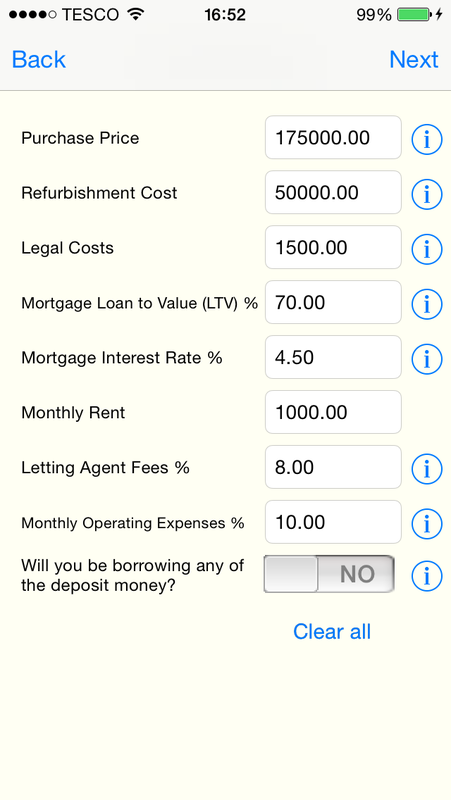 An in-built, bespoke property investment calculator. 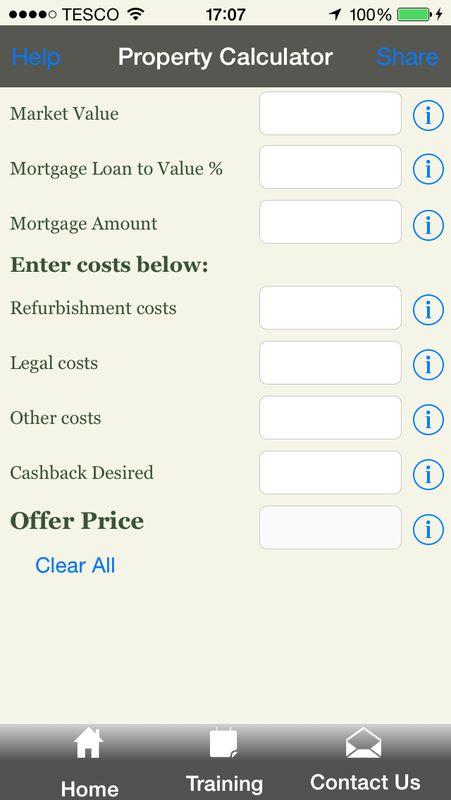 This calculator is based on Kevin’s own formula for calculating whether a property makes a good investment or not. Kevin supplied us with an Excel spreadsheet with a number of input fields and a variety of calculations. We translated this into a “Simple” and “Advanced” calculator in the app. Users input their variables, and the app makes the calculation for them instantly. Kevin has created a number of template documents and guides to help people run their own property businesses. Users of the app can make an in-app purchase and download any of these documents to their phone. Kevin has a number of followers on Social Media, and blogs regularly to keep them up to date on what he’s been doing. 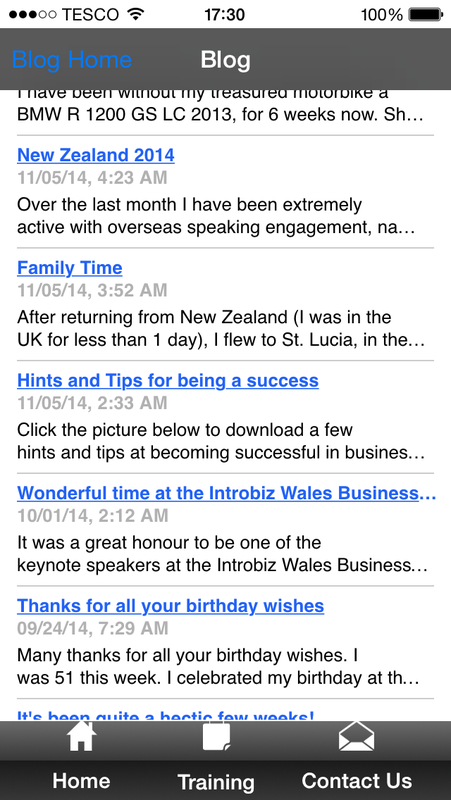 We’ve integrated this blog directly into the app. 4. An Events menu, allowing users to see upcoming training courses. We designed an admin interface so that Kevin can log on to a website and add new training dates which then automatically appear in the app. Made for Kevin Green, star of Channel 4's Secret Millionaire TV show, this app (made for iOS and Android) was designed for attendees of Kevin's property and wealth training.